Note: We hope you like this story about the Salem House, but we also hope you don’t actually go out to the Salem House. We hate the thought of any of our readers getting hurt and/or arrested out there! First things first: The Salem House and the Mongoloid House are not the same place. A lot of people (including me) have confused the two places over the years. This 2011 photo shows the burned out remains of the house on Salem Road. This house is no longer there. The Salem House is actually a collection of buildings located, unsurprisingly, on Salem Road just north of Marion Cardington Road East. It occupies a place in local lore as a ‘haunted house,’ though how it got that reputation is unclear. Facts about the Salem House are few and far between. According to the Marion County auditor’s office, the property is owned by a Mr. Kramer of Powell, Ohio. A note attached to the property file states that, “All buildings are…in very poor condition.” Furthermore, the house on the property burned almost to the ground at some point, and it was later razed completely. One of the more common stories surrounding the place goes like this one, courtesy of Kari Hall. The man was a Civil War veteran and he and his wife couldn’t have kids. Suddenly she got pregnant and they ended up having two kids. During a fight they were having, she told him the kids weren’t his, and so he killed them in the barn with a shotgun and then killed his wife in the basement before killing himself. When we went to the house on Salem Road, one of my friends told me the story about how a Civil War veteran had owned the property (in the 1800s) before going crazy and murdering his wife and children and then hanging himself in the barn. 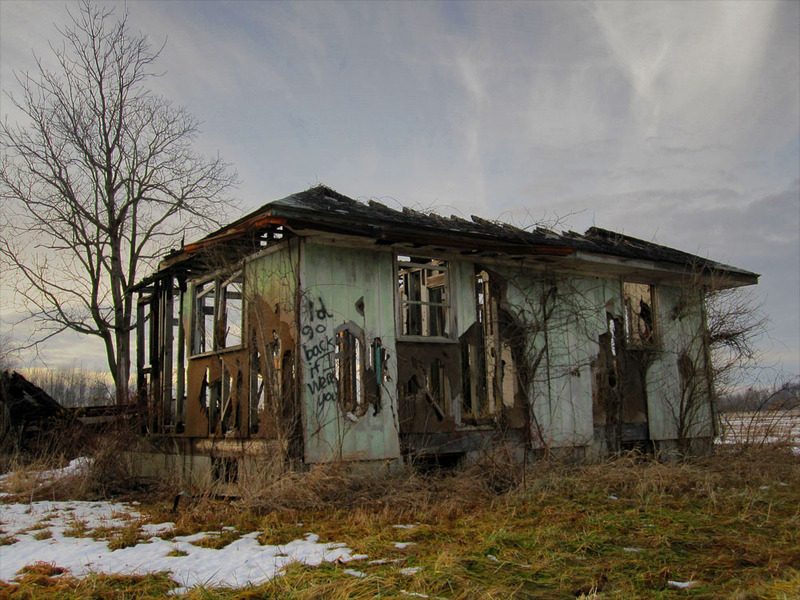 In the 1950s another family moved into the house, and the spirit of the soldier remained and didn’t want anyone living there so he drove the new father mad, and he, in turn, killed his family and then himself. [When we went out there] we walked into and through the first story of the house. There were a lot of odd things spray painted on the wall, most of them negative towards Jesus and God and glorifying Satan. This was 11 or 12 years ago. In any case, we didn’t see anything supernatural. So what’s the source of these stories? The story goes that a Civil War veteran who lived there killed his wife and children and then hung himself in the barn. Today if you visit the barn you might hear the strange noises which many report. The house is also said to be haunted, although it was merely built on the site of the murder house and is not original. Andy, who isn’t from Marion, told me he received his information anonymously and has no idea about its origins. Obviously, the story on his website shares similarities with the stories above. This begs the question: Were people in Marion first telling the story about a murderous Civil War veteran before someone submitted it to Forgotten Ohio? Or did Forgotten Ohio publish the story first, and then people in Marion started repeating it? It’s hard to say. 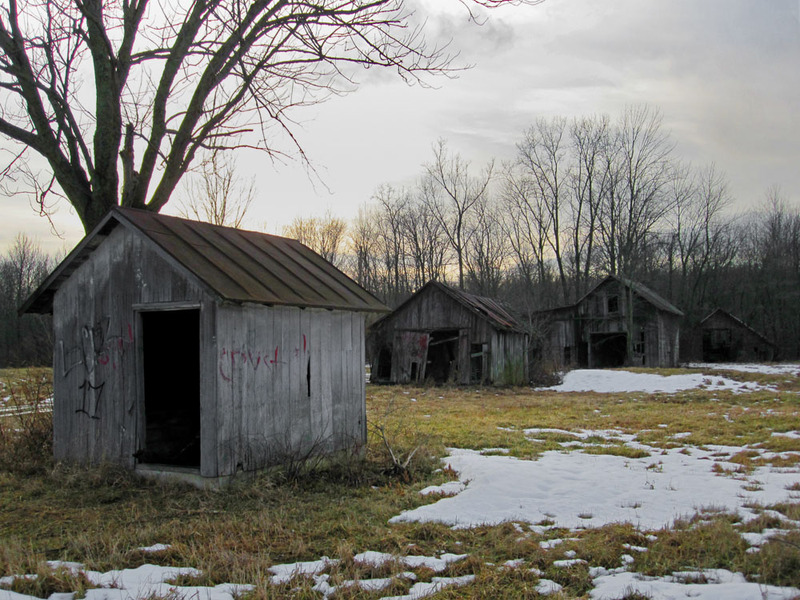 The sheds and barns on the Salem House property. Some people claim that if you drive out on Salem Road, turn off the engine and sit there, these people/spirits would come and rock the car and try to get in. The car wouldn’t start back up until they left or decided to leave you alone. I went the house in around 1994. The house was standing and walls were all intact. There was graffiti on the walls like “Leave while you can.” and “This is hell.” I looked around [and was] scared out of my mind. I remember there being a basement but no stairs [leading down to the basement] and none [lying collapsed below] in the basement. Then in 2009 I went back to the house. At the time I didn’t know it was the [same] house. We were just out with friends and told us they knew where a haunted house was. So we pulled into the driveway, and I told everyone I had been there before. We didn’t get out but just took pics. When looking at the pics [later], we could see orbs. I attended Pleasant High School and some friends and I were bored (like always around those parts). I had just moved to the school, so I hadn’t heard of the house. My friends wanted to show me, so we went to Salem Road. The house hadn’t burned yet. It was kind of unimpressive, really, but it gave us something to do. I remember the walls having stupid things written on them, probably intending to scare people. Nothing happened while we were there, but some of the other girls got scared so we left. Mike Z’s photo from January of 2014. We went out there on February 21st at around midnight. We pulled up in the driveway, turned off the car and walked out to the barns. We went through them, but nothing happened until we went into the basement of the house. That’s when we saw a head peaking through the window and I heard a noise. We freaked out and ran back to the car. 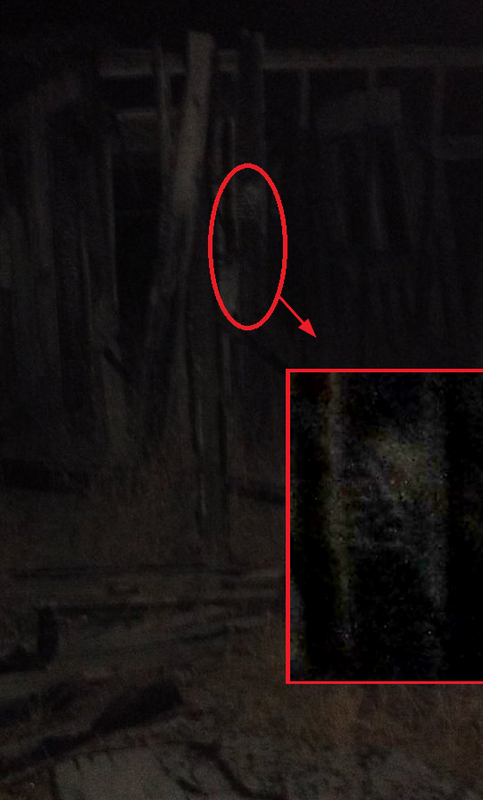 Before we got to the car, I turned around and saw a black figure by the barn. My buddy tried starting up his car quite a few times, but it wouldn’t start. We had to push it down the road and then it started. In the end, it’s easy to dismiss stories like Nicholas’ as nothing more than the product of overactive teenage imaginations. However, in early 2014, I received an e-mail from Mike Z. with an intriguing photo attached. The image appears to show a face staring out at him from the ruins of the burned-out house. Regardless of whether or not one believes the Salem House is haunted, the photo is pretty darn creepy. I have been to the Salem House and have some pictures that are pretty scary. When we tried to leave, our truck tried to hit a tree – very scary stuff indeed. When we went we were able to go into the basement of the house and everything was still there. We went into the barns and explored the whole property. 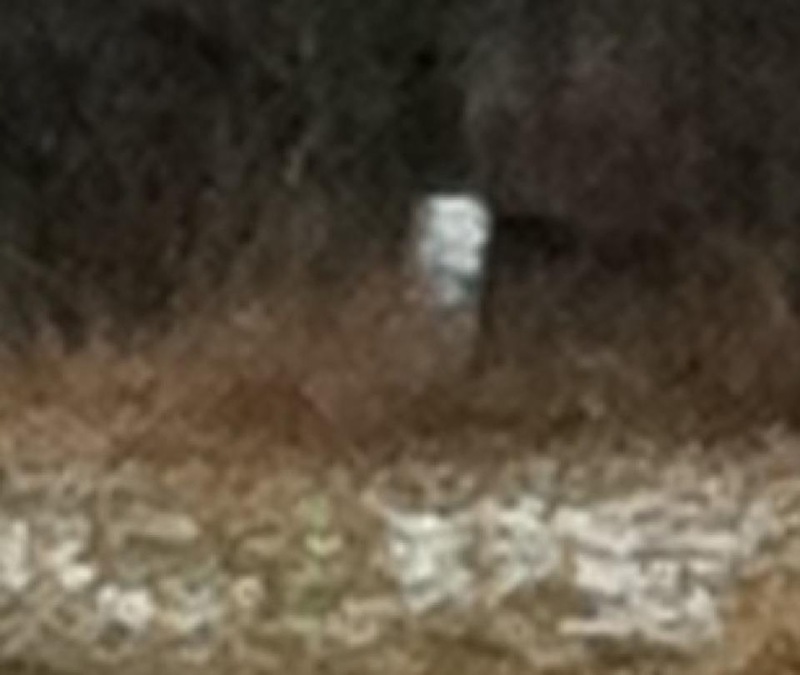 Like I said we have some pictures of orbs but we have a really good picture of a pretty good detailed spirit. Thanks for the read! Don’t you think that is a little too skeptical? I mean, could it have been your eyes playing tricks? I don’t know – this seems too short for me to believe it. Everyone who goes to the Salem House has to at least get out of the car. I was there just past Sunday July 12th, 2015. The house is gone and the basement is filled in. Only the barn stands. It is overgrown and unkempt. As a lot of people who’ve been out there know, the house sat by a big bush and a tree, and they are still there. I went there as well since it’s right down the road from me. This was about 5 years ago. I pulled in and my flashlight and cell phone immediately went dead. I did have a friend with me and we went first to the barn way back in woods first. We both felt like someone or something was watching us. Then there was another barn further inside the woods that had a tractor inside and a spiral staircase (which I thought was odd). There was straw up in the loft. We went back to the house and saw graffiti everywhere but nothing like what we felt in the barns. When we left, the car started just fine. After driving down Salem Road, we were getting ready to turn left onto 745 and my car stalled and then died. I tried to start it and it still wouldn’t catch. It took 5 tries before it would start. I don’t know what to think. It was by far the most bizarre event of my life, and to this day I refuse to drive down 745 past Salem Road. I will drive 30 minutes out of my way so I don’t pass that road!!!! I went down there a couple nights ago. The house is gone. I went to the barn and walked up the spiral stairs… I asked a few questions but got no response. It felt a little heavy, like someone was watching me but nothing major that really scared me. My wife gets mad at me for ghost hunting, lol, but it’s all good. It’s what I love to do. I have also been in the Silver St. house. That place is no joke. I’m actually really interested in finding this place. I drove down Salem Rd. one night but I could not find the place. If anyone has some specific directions, please inform me. Thanks! This house is no longer standing. It has been demolished. I have family that lives on 746 near here. Maybe you will be interested in researching the Fairchild homestead, and the standing ruined graves nearby. I’ve been to the place a few times, once in 2008 when the burned out shell of the house was still standing during the day and lastly during the summer of 2015 late at night. There’s nothing paranormal about this property. The only thing you’ll find is graffiti and junk in the buildings, no ghosts or satanists. If you do want to visit, I’d advise going at night so you don’t get caught trespassing. Absolutely. These stories are nonsense. I lived down the road from that house. Been inside the house that had been a shell for many many yrs.